What The World Needs Now, Is Signs, More Signs. 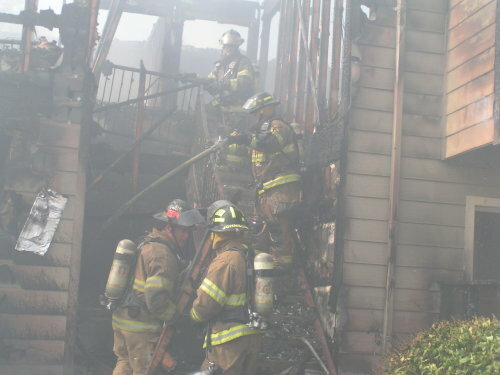 Look at all those firemen! Must be a convention, or something! Some people need it that obvious. That is my number one pet peeve about drivers. Why, why, why, are they still in the left lane? In England, all directions on signs are really wordy. By the time you read to the bottom of it, we could all be dead. The signs are probably just concerned about seeming rude. Well I guess you should be happy you got out of this confusing, frustrating experience safely and can now laugh about it. It’s sad that we even need all those signs to tell us what to do – and that someone else even thinks we need them! What’s happening to common sense? Whenever I see things like that, what always gets me is that it wouldn’t be there unless something happened that made people decide they had to. Yep, changes put in place always come after a disaster or something else happens. Interesting point you bring up. And congrats on easing back into blogging between all of those diaper changes – can’t be easy! In other words, the reason is lawyers. I think they should put that warning on the underside of the cup. Just for funsies. I’m sure you’re right. And the decision to make this sign would be one of those conversations where the only reasonable response it to go insane. LOL! How droll, I loved this! Yeah, I remember him! Wasn’t that Larry the Cable Guy? OMG I hate acronyms! 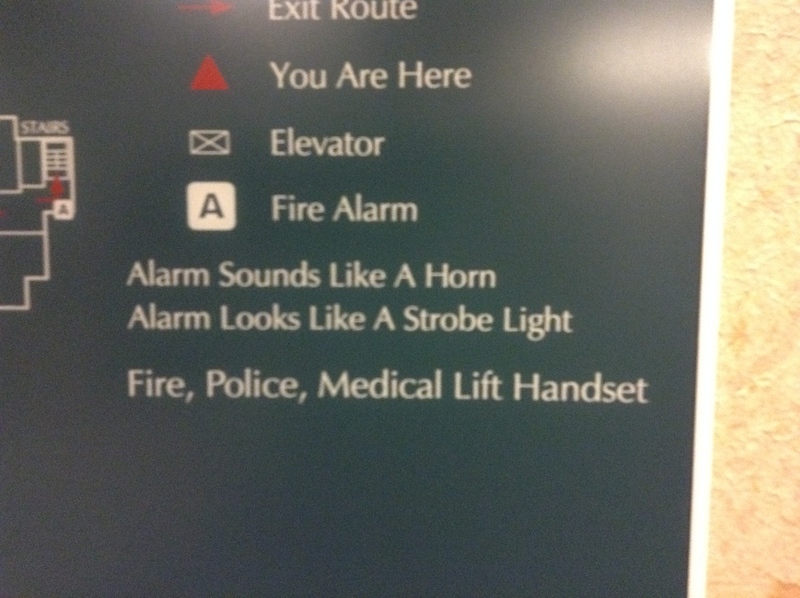 I love that the alarm “sounds like a horn”. If only it sounded like one of those clown horns it’d make running for your life so much more entertaining! I do too. Especially strained acronyms that make a word. SCUBA? Fine. NASA? Great. But when it’s TEAM: Together Everyone Achieves More! or the latest standardized test that they’ve spent weeks to make the name spell “Winner” or “Smart”? Gyugh. OOOH. That’s what they’re for. I though they were for the parties they have in the hallway. On a serious note, I’m kinda not surprised. I’ve seen a lot as a teacher. Life is just getting more and more complicated, ain’t it? You, Peggles, Darla all posted on the same morning. I think THAT’S a sign. I’m hoping you were staying in a hotel for a really cool reason, and not because YOUR house was on fire (again). Which is weird – you’d think lawyers in other countries would see the opportunity. exactly! i don’t know why they don’t jump on it. lawyers here in america won’t even take your case from out of state? I like the signs with no words, just pictures of what you should or shouldn’t do. Why trust literacy? Exactly. Especially signs that warn you about getting electrocuted or falling off a cliff that just have a poor little stick man really getting blown to bits. I had once been quite resentful at the sexism I felt was indicated by the always-male figures portrayed in all those warning signs, until I realized that the signs were wisely targeting the more Darwin-award-prone gender. This noise you speak of: it’s loud, obnoxious and insistent? It might have been a fire alarm, but there’s a chance it was a cell phone ring tone. As for the flashing light, it’s noteworthy that strobes may cause seizure activity in some people. I wonder if there’s a separate alarm to pull when someone has a seizure. The seizure alarm releases a vomit-inducing gas. And the noxious gas alarm spews fire. It’s the circle of life. Indeed, the law has made it so that we must all be dealt with as if we are still in 3rd Grade. To be honest, this would be overkill even for a 3rd Grader…my apologies to them. Maybe a panicky 3rd grader. Who’s still learning the language. Signs like those confuse me anew at each re-read: “Fire, Police, Medical Lift Handset”. 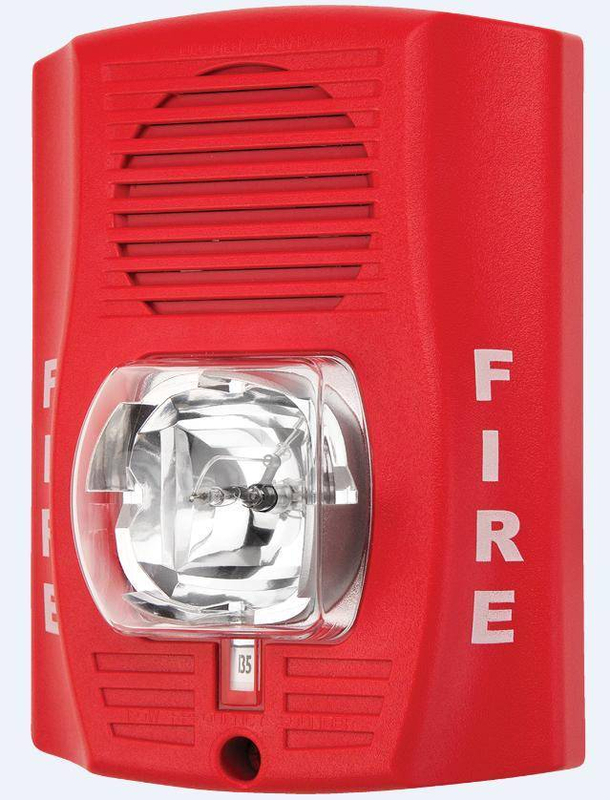 Is it saying that the alarm doubles as a phone or walkie-talkie of some sort, to be used by the slightly-singed guest to contact emergency personnel? Or, is it intended to be read by those personnel, instructing them to lift a handset of some sort? Possibly not a phone, but CPR paddles? Is that device located inside the elevator, and this serves as a helpful reminder of that? I don’t mind signs, as long as their messages are unsmokily-unambiguous to those of us with hazy thoughts and cloudy thinking. Very funny, and unfortunately, it’s probably happened more than once.